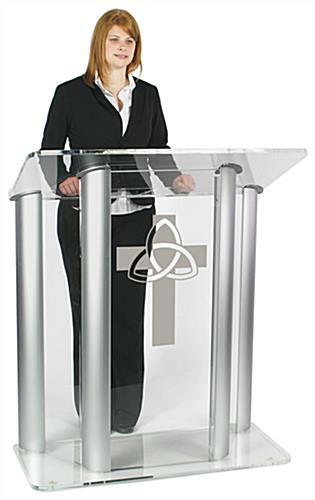 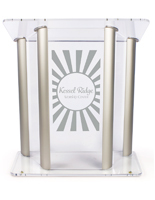 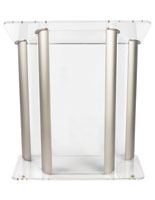 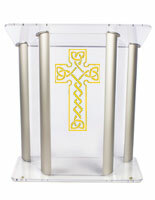 This wide trinity cross church pulpit offers a double-width clear acrylic reading surface. 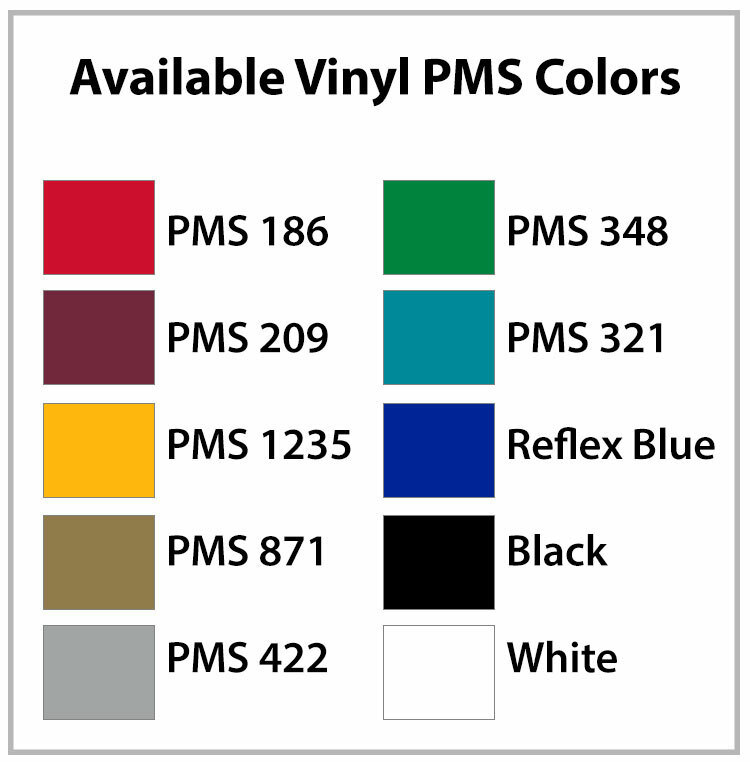 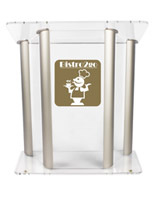 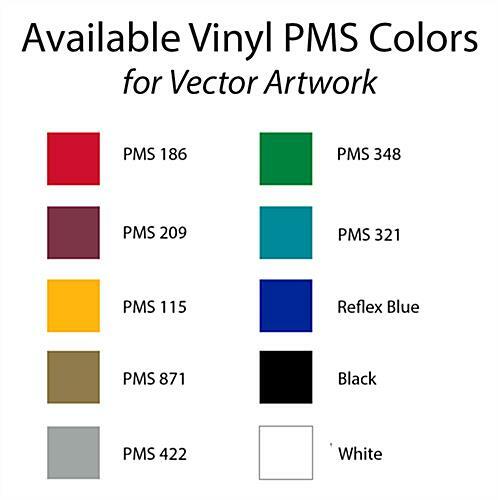 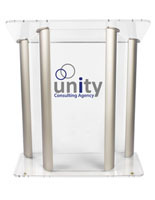 The high visibility stand features silver finish aluminum side accents and comes with a 1-color vinyl cross logo for visual impact. 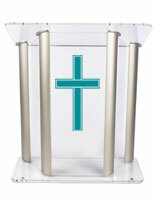 This custom imprinted trinity cross church pulpit commands attention in any location. 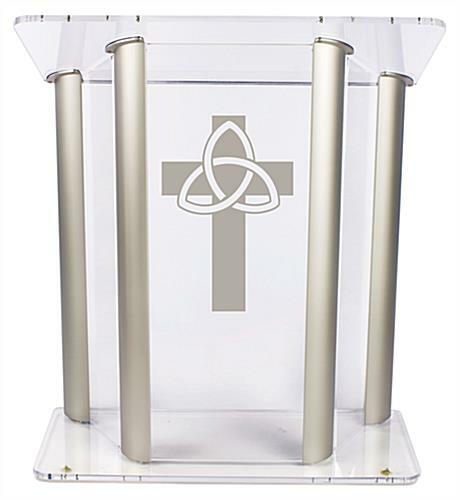 The combination of clear transparent plexiglass, silver aluminum and bold imprinted graphic gives this contemporary church furniture piece visual impact. 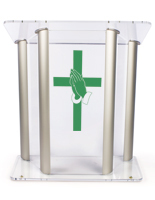 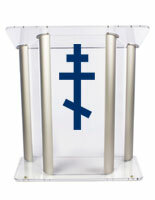 The vinyl-printed trinity cross church pulpit comes in ten different color options to match facility decor as desired. 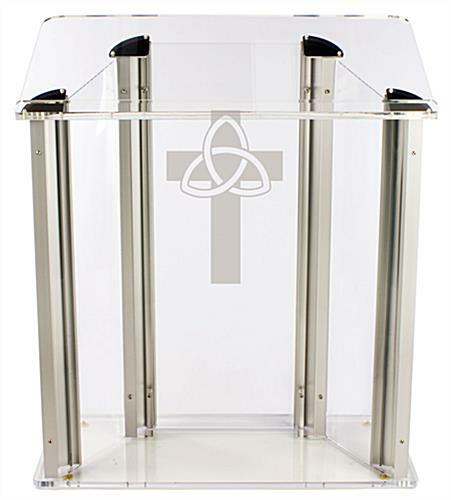 This modern church furniture stand is a perfect way to draw the attention of congregation and audience members, service attendees, and guests.